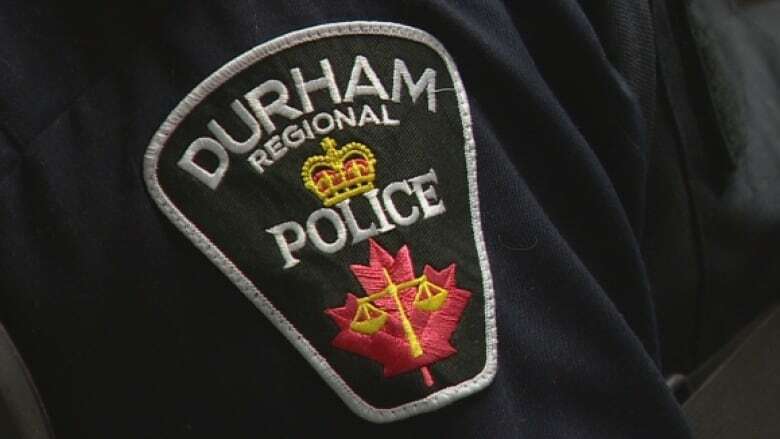 Durham Regional Police are searching for two suspects after an officer was dragged several feet by a fleeing car in Oshawa. Around 11:30 p.m. on Wednesday, two officers were conducting a traffic stop on Capreol Court in Oshawa for a suspected impaired driver, police said. The suspect became irate and tried to drive away. One of the officers, in an attempt to stop the driver, was partially inside the vehicle and was dragged several feet, police told CBC News. The vehicle made a U-turn and headed directly towards the other officer. At this point, the officer being dragged by the car was able to escape, and suffered minor leg injuries, police said. Both officers fired their weapons at the vehicle as it made a high-speed escape from the scene. Police are asking anyone with information on this incident to contact Crime Stoppers at 1-800-222-8477 (TIPS).